If you or your business publishes iOS apps, you may need to take a look at Apple Search Ads to reach more potential customers. Apple Search Ads are the small advertisements you see inside App Store search results. 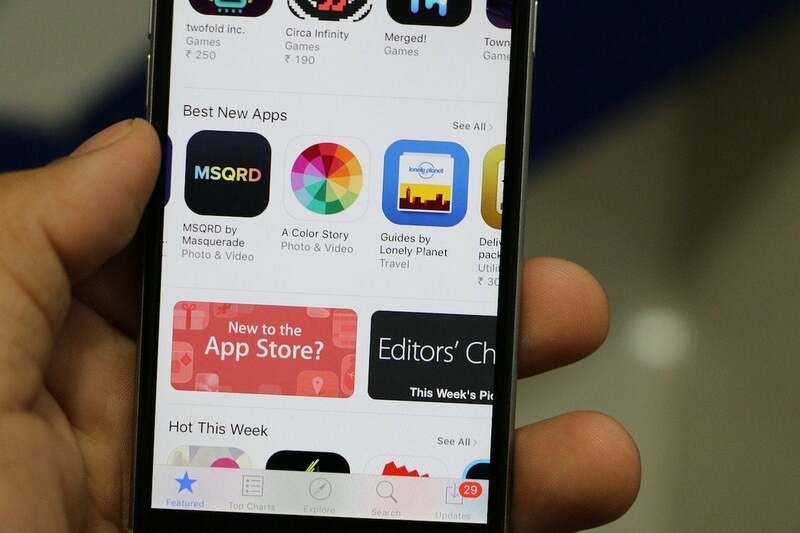 When available Search Ads appear at the top of the search results listings, which is useful if they are well-targeted – there is little point offering a game to App Store customers seeking productivity apps. How can I tell when I’m seeing a Search Ad? Search Ads have a light blue background and an icon that lets viewers know they are looking at an ad. Where are Search Ads available? Originally available in the U.S., Apple now offers these ads in 59 countries worldwide, including some in Europe, the Middle East, Latin America, Africa, and the APAC regions. Advertisers can be in any of 121 countries in order to use these ads to target potential customers in supported countries. You must be an app developer to use Search Ads. How do I begin using Search Ads? Visit the Search Ads pages on the Apple website and log in with your Apple ID. Apple offers both Basic and Advanced Search Ads, though the latter are not available in every supported country. These ads use the same app name and description, videos and screenshots you have uploaded for your App Store app listing. Ads also rely on the metadata you created when uploading your app – be sure to wait 24 hours if you have changed that metadata before launching a campaign. Basic Ads are easy to create and can be set to predictable costs. You don’t need to set keywords or audience filters, as Apple will match your ad to appropriate potential customers. You can monitor your campaign through the performance dashboard and budget up to $10,000/month to promote up to 50 apps. Apple also offers a more advanced Search Ads service. These are a better option for more complex campaigns, particularly for developers of highly localized apps who may want to target users in more specific locations. The system lets advertisers to choose and research keywords, use their own creative assets and decide when those ads are shown. You can define how much you’ll pay for each tap on the ad up to a monthly maximum budget. You’ll get more sophisticated reporting and can spend as much as you like on as many apps as you wish to promote. NB: Apple pays great attention to keyword relevancy. That means if you offer lots of cash to target keywords that are not seen as relevant to your app, then it is unlikely your ad will appear. A service such as SEMRush may help you identify keywords that are most relevant to your app. The next few sections address some of what you need to know to use Search Ads Advanced. Device type: iPhone, iPad, both. Customer type: eg. “Users who have not downloaded my app”. Locations: You can choose one or more geographical locations in which your ad will appear. The latter is useful to reach people with hyperlocal ads – if you develop an app for a local amenity, you might only want to target potential clients who happen to be nearby. Apple Search Ads Advanced use a concept called Ad Groups. You can choose one Match Type for each group (Search Match, Broad Match or Exact Match) for each group. While each Ad Group will only accept one Match Type, you can choose to create as many groups for each campaign as you like. You can also select which devices your ad will appear on, set the maximum value you’ll bid per click, and more. What are the Search Match Types? Search Match: Apple’s system automatically searches for the most relevant keywords that are applicable to your App. Broad Match: Once you’ve used Search Match ads, you’ll have a list of the keywords that work best for your app. You can use these to populate a Broad Match group that should be more effective. Exact Match: To use Exact Match, you must deactivate Search Match and then add the keywords you want to target. (You may also want to use some deliberately misspelled words.) You also define words you don’t want to use. Remember: You can create and run concurrent Ad Groups each using one of the Search Match types – just be sure to set an appropriate budget for each one. For a more in-depth description of these different matches, please take a look here. How can I monitor my ad campaigns? Basic Search ads charge a Cost Per Installation (CPI). You get to set your overall monthly budget and define the CPI for each campaign. Apple does suggest a price based on what it knows about its customers and your app. Advanced Search Ads charge per tap. Apple currently offers $100 free credit to developers trying its system for the first time. Do Apple Search Ads work? They seem to. Developers, including Readdle, seem positive about Apple Search Ads. Apple has also published a range of testimonials that claim developers are achieving effective ROI on their campaigns. An Apple-published 2017 study claimed the overall ROI for its ads was 1.3 times higher than that on Android ads, while Apple itself claims around 65% of downloads come from App Store search. Apple’s Search Ads website is here.